Latino/a Kid Lit Challenge: What Can You Do with a Paleta? Summer is around the corner, and what better way to celebrate than with a book and an ice cold paleta? What Can You Do with a Paleta? by Carmen Tafolla and illustrated by Magaly Morales is a playful tribute to the fruit-flavored icy treats so popular with Mexican-American children. Probably the best way to get the “flavor” of the book is to listen to the marvelous Carmen Tafolla read it. The over-sized paper paleta prop the author uses when reading the book. Too cute! The yummy acrylic illustrations in warm colors to complement the “cool” topic. It is obvious that What Can You Do with a Paleta? is as much delicious fun as the treat itself. Help yourself to a copy today! 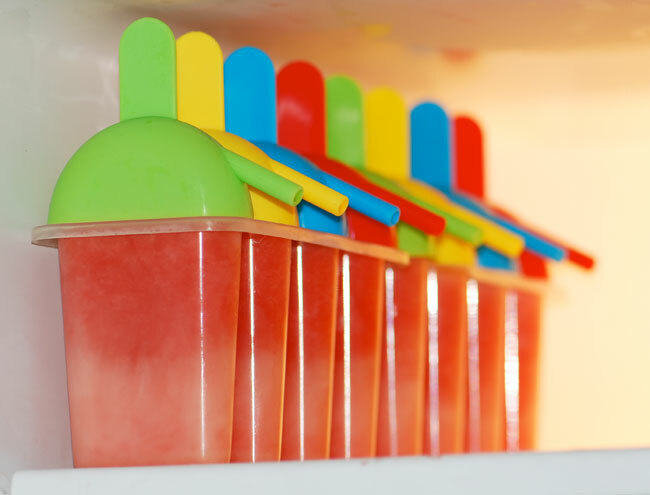 Paletas are easy to make because all you need is some fruit, ice pop molds, a blender and a freezer. These watermelon paletas are some of our family favorites, made of seedless watermelon chunks, 1/3 cup orange juice, and a few Tablespoons of sugar (the sugar gives the pops a smoother texture, but may be omitted). Puree all the ingredients in the blender and pour into the paleta molds. Freeze for about four hours. Looking for more paleta recipes? Visit our paleta Pinterest board for icy goodness! Look for 2014 Latin@s in Kid Lit Reading Challenge books on the third Wednesday of each month. 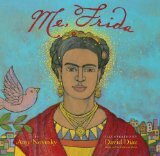 Interested in multicultural children’s books? Follow the our Multicultural Children’s Books pinterest board. and to honor National Poetry Month, we have the Magical Cycle of the Seasons Series by poet Francisco X. Alarcón and illustrated by Maya Christina Gonzalez. 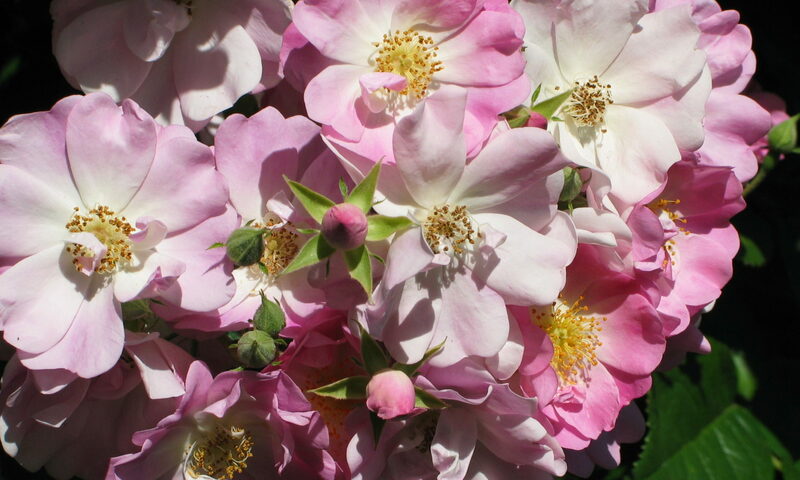 Starting the year is the Pura Belpre Honor Award book Laughing Tomatoes: And Other Spring Poems / Jitomates Risuenos: Y Otros Poemas de Primavera . As with the other books in the series, poems in the book have both an English version and a Spanish version. Can you imagine how difficult it must have been to get the ideas and sounds/rhythm down pat in two languages? In the downloadable Teacher’s Guide (link at bottom) at Lee & Low books, Alarcón explains that some of the poems came first in Spanish, some in English and some he wrote in both languages at the same time. Next, in From the Bellybutton of the Moon: And Other Summer Poems / Del Ombligo de la Luna: Y Otros Poemas de Verano Alarcón takes a slightly different track than the first book by revisiting a trip to Mexico that occurred during his childhood. The third in the series, Angels Ride Bikes: And Other Fall Poems / Los Angeles Andan en Bicicleta: Y Otros Poemas de Otoño (The Magical Cycle of the Seasons Series) , explores the city of Los Angeles and activities families do there. Winding up the year is Iguanas in the Snow/Iguanas en la nieve: And Other Winter Poems/Y otros poemas de invierno. In this book Alarcón moves to northern California. The Spanish poems are generally presented first except for the title poem, “Iguanas in the Snow.” In this intriguing poem, children experience snow for the first time. Their mother laughs, saying that their green cold-weather clothing makes them look like iguanas. The books in this series would be useful for poetry units, as well as for learning languages.